Melt the butter and sweat the onion. Combine all the ingredients together and knead. Shape the dough into breadsticks. Brush the breadsticks with water. Sprinkle them with sea salt. Bake them until crisp but not brown. Bake them again until golden brown and crispy. 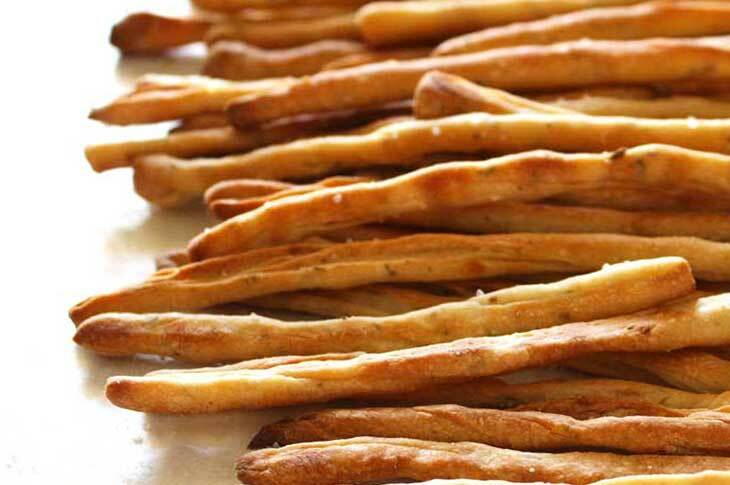 These breadsticks can be kept in a tightly sealed container for up to 2 months.